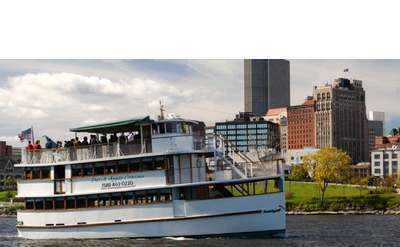 Immerse yourself in Capital Region history at one of the many historic sites listed below. You could pay tribute to fallen heroes, learn about the lives of those who first settled the region, or tour the former homes of some of the region's most affluent families. The New York State Missing Persons Remembrance is dedicated to the men, women and children of NYS who have been reported missing. The Remembrance stands on a hill on the southeast corner of Madison Avenue and Swan Street in Albany, NY. The New York State Purple Heart Memorial, located on Madison Avenue, honors New Yorkers who have been awarded the Purple Heart, the oldest military decoration in the world currently in use. The New York State Parole Officers Memorial sits behind the Legislative Office Building in the Empire State Plaza. This memorial honors parole officers of New York State who were killed in the line of duty. The life-size bronze cast of George Washington in Albany's Empire State Plaza was unveiled in West Capitol Park in 1932. This memorial is a reproduction of the famous marble original by French master artist, Jean-Antoine Houdon. The Academy Park Fountain is located in Academy Park in the City Hall area of Albany, NY. This hand-carved, cream colored stone fountain was created in 1988 and was installed in the park with funds provided by the Albany Beautification Committee. Founded in 1791, the Albany Institute of History & Art is New York's oldest museum. It is dedicated to collecting, preserving, interpreting and promoting interest in the history, art and culture of Albany and the upper Hudson Valley region. The New York State Korean War Veterans Memorial is located in the Empire State Plaza's Memorial Park along Madison Avenue. The memorial honors the 482,000 New Yorkers who served our nation during the Korean War. The North Albany World War II Monument is a granite memorial located in the front of School 20 on North Pearl Street in North Albany. The monument commemorates those served our nation in World War II. 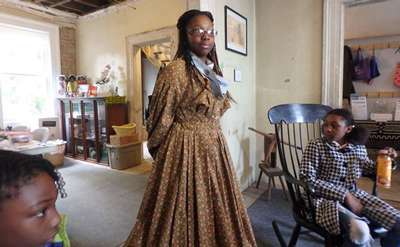 The Schenectady County Historical Society brings history to life at the Mabee Farm Historic Site, the Grems-Doolittle Library, and the Schenectady History Museum. The organization creates interactive exhibits, and hosts workshops and other events. The Children's Memorial is located in a park on the southwest side of the Empire State Plaza and was installed in 1999 to raise awareness for child abuse and neglect. The memorial honors the children of New York State who have died due to this abuse. The State of New York Police Officers Memorial honors the state's police officers, and serves as a site of solitude and reflection for those who visit. The New York State Firefighters Memorial stands on the northeast side of the Empire State Plaza in Albany, NY. It honors the men and women of the fire service who perished in the line of duty in New York State. General Philip Henry Sheridan was one of the most celebrated heroes of the Civil War, best remembered for his 20 mile gallop to rally his retreating troop to victory at Cedar Creek, VA. The World War II Memorial is located next to the New York State Museum and honors those who served our country during World War II. Curved granite copings encircle the right half of a pool and are inscribed with dates, places and battles. The New York State Crime Victims Memorial is located on the north side of the Empire State Plaza. Dedicated in 1996, it is a limestone and calcite boulder that commemorates fallen and surviving victims of crime and their families. The New York State Vietnam Memorial commemorates the military service of NYS residents who served our country between 1961 and 1975 in Southeast Asia. The memorial was the first such state effort in the nation, dedicated in 1984. The New York State Women Veterans Memorial honors women in the military over the past 200 years. Dedicated in 1998, it serves as an educational item to inform the public of the role women have played in the armed forces. The New York State Capitol is part of the Empire State Plaza complex in Capitol Park and offers tours, including haunting tours in the fall. The Erie Canalway stretches 524 miles across New York State, and played an extremely important role in the state's transportation history. Today, you can still see working portions of the canalway, and can explore the surrounding towns. The World War I Monument is located in Memorial Grove and consists of a female figure with palm and sword, backed by a pylon. Also known as the "Mother's War Memorial," this monument was sculpted by Attilio Picirilli. The 10th Ward War Memorial is located in the center of Townsend Park in a round flowerbed with a large boulder and a cast bronze plaque. The New York State Emergency Medical Services Memorial is located at the north end of the Empire State Plaza. It honors those from the NYS EMS who sacrificed their lives in the line of duty. Dedicated in 2000, this glass sculpture in honor of Dr. Martin Luther King, Jr. - entitled "Seeds of Enlightenment" - was commissioned by Corning Incorporated as a gift to the people of NYS. It is located in Empire State Plaza's North Concourse.